Janney Montgomery Scott has poached an experienced financial advisor from rival UBS, according to a press release from Janney. Hany Farag joins Janney’s Midtown New York office as vice president of wealth management, the company says. He serves high net worth individuals and institutional investors and focuses on providing advice to corporate executives on complex investment strategies, according to the press release. “Like many advisors, Hany was drawn to Janney because of its reputation as a very client- and advisor-friendly firm,” Michael Drumm, complex manager at Janney, says in the press release. Farag has been in the industry since 1995 and spent the previous 16 years at UBS, according to his BrokerCheck profile. Janney has successfully lured several advisors from wirehouses in recent months. Since July, the company has poached at least three teams from Wells Fargo Advisors collectively managing over $700 million. In August, Janney nabbed a trio of advisors who collectively oversaw $235 million at Merrill Lynch. UBS lost two more top-producing teams of advisors in Ohio to Wells Fargo Advisors in the past two weeks, according to news reports. Ryan Bibler, Vincent Finney, Joseph Panfil, Myron Shaffer, along with two client associates, joined Wells Fargo in Columbus earlier this month, according to AdvisorHub. They generated $5 million in fees and commissions at UBS, where they’ve been since 2009, the website writes, citing a person familiar with their practices. And in Dublin, Ohio, a suburb of Columbus, UBS lost James Medsker and Laith Khalaf to Wells Fargo at the end of October, according to the website. The pair generated $2 million, the source tells AdvisorHub. Medsker and Khalaf had both come to UBS from Morgan Stanley a decade ago, according to BrokerCheck. The two teams in Columbus and Dublin knew each other “and also were long-time friends with local management at Wells Fargo,” AdvisorHub writes, citing the same source. UBS has been losing advisors to several rivals in recent months. In October, it lost a 30-year veteran of the firm who jumped ship in October for Morgan Stanley. 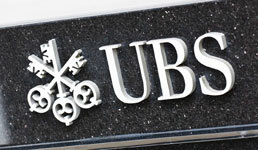 UBS has also lost representatives to Stifel Financial and RBC Wealth Management in recent months. But the Swiss-based firm revealed plans last month to grow its U.S. wealth management operations, which includes poaching advisors from rivals such as Morgan Stanley, JPMorgan and Goldman Sachs.